It’s in our nature to be intrigued and excited by extraordinary achievements, says Doug Male of Guinness World Records, and brands can leverage this curiosity in a number of ways. He tells Marketing about great Record attempts by brands, and the content campaigns that involved them. Marketing: What’s the process for a business attempting a Guinness World Record? Doug Male, head of PR, EMEA APAC, Guinness World Records: It’s as easy as contacting a Guinness World Records account manager by filling out an online campaign briefing form. From there, our account managers will help brands develop their creative strategy, help decide what record they should attempt and organise a Guinness World Records adjudicator to judge the attempt. Not only that, a whole record-breaking campaign can be built to address your campaign objectives. The overall campaign goal, objectives and measurement of success: At the end of the day, it’s not only about whether you successfully set a new record title, success should be measured based on your objectives. For example, were the participants of your record attempt satisfied with your product or service, did the positive sentiment towards your brand increase or did your employee satisfaction rating increase? Determine who your target market will be and tailor the record attempt around their interests, while still ensuring it’s in line with your brand/the campaigns theme and objective. Plan out your content calendar and schedule in key milestones such as when you will announce the record attempt and whether it’s internal or external. Ensure there’s enough time and resources to capture content throughout the entire process. Why should brands attempt a title? It is human nature to be intrigued or excited by extraordinary achievements. The feeling of achieving something great and being inspired unites people and communities. If you look at world records from a sales-oriented perspective, you have to ask yourself why companies and brands do not use this form of playful competition more intensively for their product positioning and communication. Marketing campaigns live on content. The registration process, the preparation and finally the actual attempt to set a new Guinness World Records title or to break an existing one offers many opportunities to create relevant, versatile and engaging content. Whether it’s a new product launch, celebrating a company’s anniversary or making a corporate event that tad bit interesting, attempting a Guinness World Records gives brands endless choices to gain cut-through and create newsworthiness within their respective industries. Should brands attempt to break old records, or come up with new ones? Why? It depends on the brand’s campaign objectives and goal. There are thousands of existing records to choose from, however brands can work with our campaign specialists to determine whether they should create a new record or break an existing one. We draw up a number of rules for each record title, and creating a new title can require exhaustive research to ensure that is measurable and can be standardised. What do good brand attempts have in common? Great titles by brands are those that can transform the everyday into extraordinary. To make what was once mundane into something worth talking about, worth watching and worth sharing. LG Electronics did this brilliantly by using the power of storytelling to get audiences engaged and keep them at the edge of their seat for the launch of its Centum System washing machine. 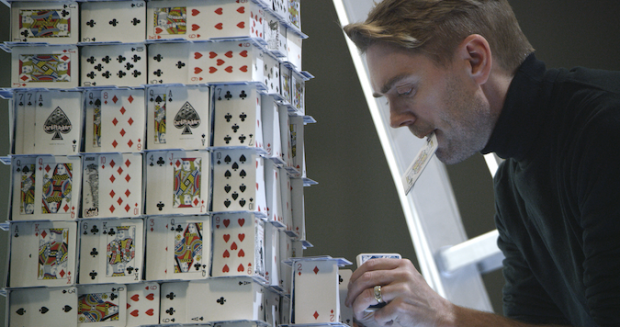 To demonstrate the new product has significantly reduced vibrations, LG teamed up with professional card stacker and multiple Guinness World Records title holder Bryan Berg to break the Guinness World Records title for the tallest house of cards built in 12 hours, which was built on top of the new washing machine, while it was running at 1,000 RPM. The masterpiece was 3.3 metres tall and comprised of 48 levels, it attracted more than 100 million global views of its record attempt and scooped two industry awards– a bronze in the Brand Film Festival in London and at the Advertising and Marketing Effectiveness Awards in New York. Brands that include an experiential element are also great as it allows them to immerse their audience and create a unique experience for them. This is why mass participation attempts are popular. They spark thousands of people to do something related to the brand at the same time to create a united community all working towards the same goal. A great example of this is The National Assembly Taekwondo Federation’s huge attempt for the Largest Taekwondo display which included 8,212 people. The martial arts display was to promote the sport and to encourage peace between neighbouring nations where both young and old attended the event. The enjoyment and determination was evident as only 150 people out of the thousands were disqualified for not taking part in the display correctly within the record guidelines. What are some common mistakes they make? I’d say ordinarily it would be misinterpreting a rule, but with our account managed service, the chance of that happening is greatly diminished. What are some unlikely brands that have made attempts? When PWC US launched its ‘Earn Your Future’ campaign to address youth education with a focus on financial literacy, it wanted to show its commitment to corporate social responsibility by creating a memorable and unique event that would excite and engage PwC staff, as well as impact youth. 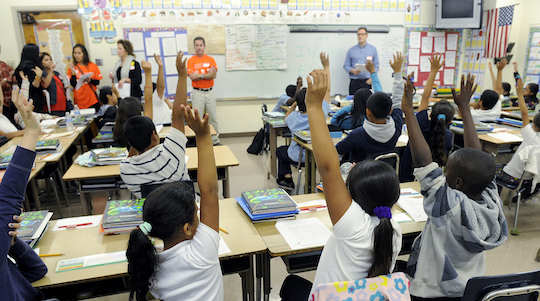 After calling on hundreds of its partners and staff across southwestern US, PwC successfully set a new Guinness World Records title for the largest financial literacy lesson at multiple venues, with eight elementary schools and 5,624 participants in the lesson. 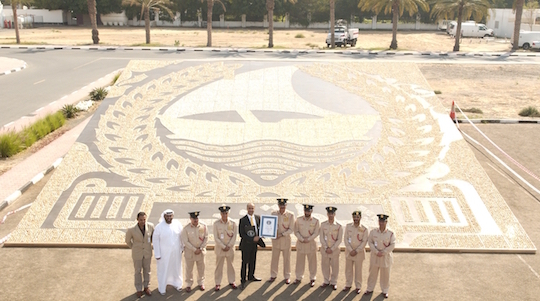 Another unusual company to attempt a Guinness World Records title is Dubai Police. Dubai Police wanted to implement its strategy to make Dubai a safe city by hosting events that would engage the community, celebrate the spirit of the nation, promote unity and keep residents happy. Since 2010, Dubai Police has broken 11 Guinness World Records titles, with their most recent taking place in March this year. To position Dubai as a smart city and aiming to be the smartest the world, the first unmanned smart police station was inaugurated.